The 2015 Dodge Grand Caravan continues to offer the same great features found in earlier models, while incorporating new innovative features for the 2015 model year. New for 2015 are optional package changes, including the addition of the new Plus Package. The Plus Package is available on both SE and SXT Grand Caravan models, and deliver continuously popular features and options for a great price. Read on for more information, and if you have any questions, call us (888) 893-4107, or visit our showroom located at 460 Yarmouth Road in Hyannis. The Grand Caravan features the award-winning 3.6-liter Pentastar V-6 engine which beautifully compliments the six-speed, smooth-shifting, automatic transaxle. The Pentastar V-6 delivers a stunning 283 horsepower, 260 lb.-ft. of torque, and best-in-class 3,600-lbs. towing capacity to the Grand Caravan which is a front-wheel drive vehicle. Drivers are also offered the driver-selectable fuel economizer mode, which maximizes fuel economy with the simple push of a button. Now more aerodynamic than ever, the Grand Caravan features lower-rolling resistance tires, reduced mechanical drag and a spoiler to increase fuel efficiency. The R/T model is designed for sporty handling and a comfortable ride, with re-tuned shocks and higher spring rates to safely handle tighter corners. 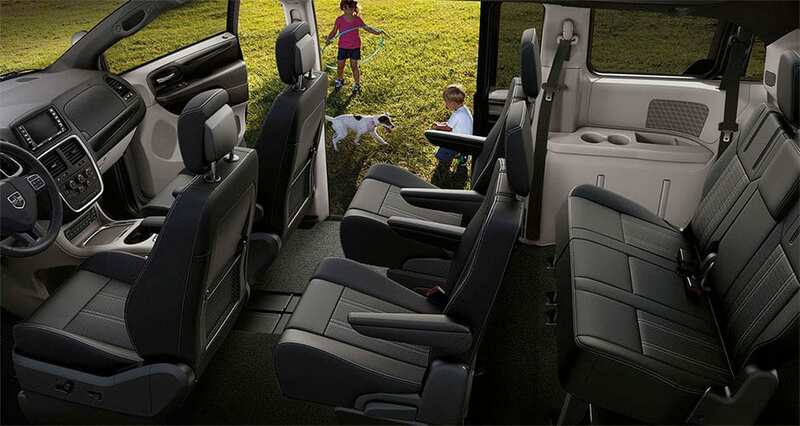 The Grand Caravan is designed to be a comfortable ride for all passengers. The vehicle features cloth upholstery or available leather, a 60/40-split folding third row, and an included second-row bench seat with optional Stow'n Go second-row bucket seats which fold into the floor. Optional interior features include heated front and second row seats, a touch-screen navigation system, remote start and Blu-ray backseat entertainment system. The exterior allows for easy in-and-out access, and comes standard with dual manual sliding doors. Available exterior features include power sliding doors, fog lights, automatic headlights, power liftgate, body-colored heated side mirrors, and rain-sensing windshield wipers. The 2015 Dodge Grand Caravan has been crafted to keep all of its passengers safe, and offers 55 available safety and security features, with technology that works to keep you safe. Day time running lights are now standard equipment, as are front seat-mounted side air bags, three-row side-curtain air bags, keyless entry and electronic stability control. Optional features include ParkSense rear park assist system and camera, Blind-Spot Monitoring, rain-sensitive wipers and Rear Cross Path detection systems. 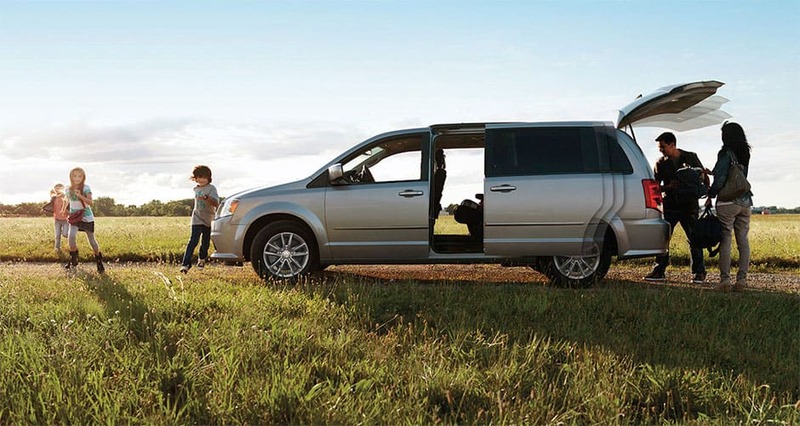 The 2015 Grand Caravan is the safest, most versatile vehicle and is perfect for families of any size.